On a per-capita basis, Australia has more tertiary graduates than many of the world's leading developed nations. Australia also ranks in the top three countries in the world for its tertiary gross completion ratio (i.e. the number of students completing university degrees as a proportion of the typical graduation age cohort of the population). 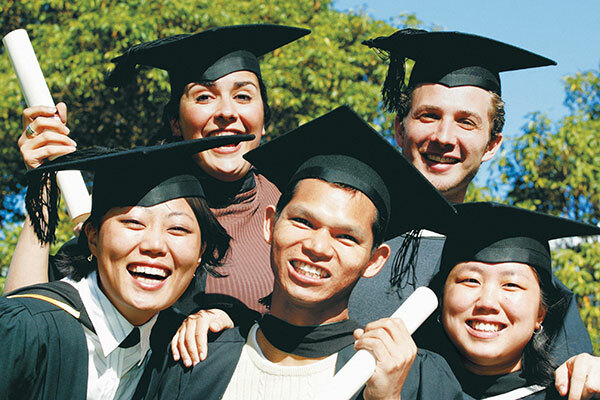 The wide variety of opportunities available in Australia's services sector, particularly in the knowledge-intensive professional, technical and financial services industries, are reflected in the fact that 45% of Australian students graduated with social science, business and law degrees in 2010. According to the OECD, the scientific literacy of a country's students is an important determinant of the part that country will play in tomorrow's advanced technology industries. Australia's proportion of students who graduate with a science (including computer science) degree is higher than that of a number of other advanced nations. Graduates from International Standard Classification of Education (ISCED) levels 5 and 6. ISCED 5A programs generally equate to university undergraduate degrees, while ISCED 5B programs tend to be more vocationally-oriented. ISCED 6 programs lead to the award of an advanced research qualification and are not solely based on course-work.